This chaise lounge gives you the comfortable spot for curling up and relaxing that you have always wanted. 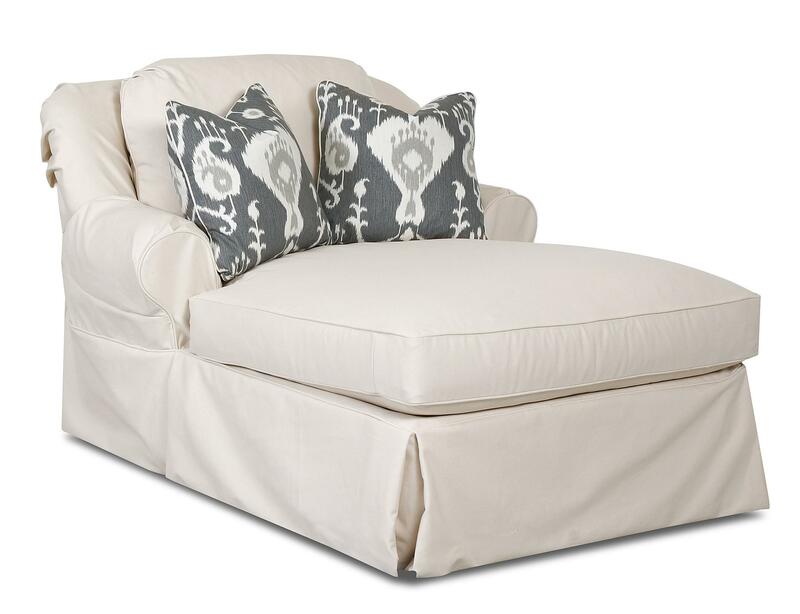 Guests are sure to admire the stylish, casual chaise's clean lines with its skirt at the base and simple rolled arms. 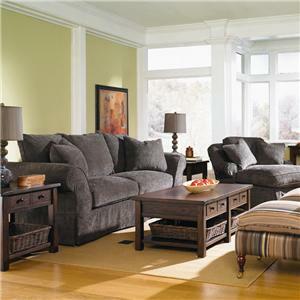 With the comfort of the square accent pillows and overstuffed back and seat cushions, you may be reluctant to share it. The chaise makes a great accent piece in a master bedroom or used as part of living room group with the coordinating sofa. The Charleston Chaise Lounge with 2 Accent Pillows by Klaussner at Value City Furniture in the New Jersey, NJ, Staten Island, Hoboken area. Product availability may vary. Contact us for the most current availability on this product. The Charleston collection creates an appealing casual style for your living room with its smart tailored skirts and welt cord details. Loose scatterback pillows and rolled arms provide sophisticated support and comfort for you, your family, and your guests. 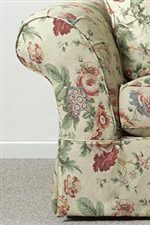 Customize the final look of the Charleston collection with your choice of thousands of custom order upholstery options. 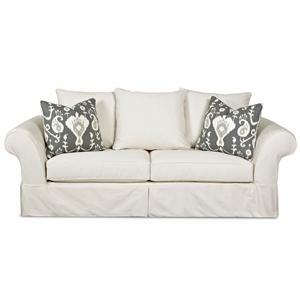 Sleeper sofa, loveseat, chair, ottoman, and slipcovers also available. The Charleston collection is a great option if you are looking for Casual furniture in the New Jersey, NJ, Staten Island, Hoboken area. Browse other items in the Charleston collection from Value City Furniture in the New Jersey, NJ, Staten Island, Hoboken area.